We've teamed up with our great mates in Clonakilty to bring you a special Christmas Treat. Nothing says Christmas morning more than a belly full of rashers, sausies and pudding. Your outfit for mass may be hoppin with the smell of fry up but, ye can't bate it. 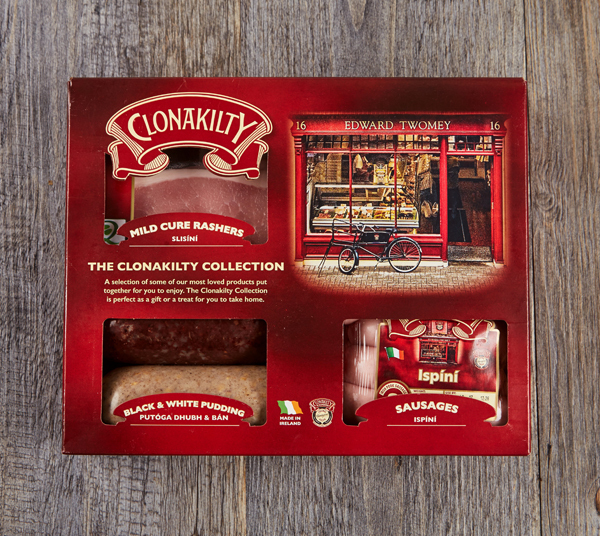 The Paddy Box are now delivering a Clonakilty Fry Breakfast to your door if you're located in the UK and EU only. And, the best part.. it'll feed 4 people! The Paddy Box Christmas elves will be delivering a limited number of Irish Breakfasts all over Europe just in time for Christmas. Please see the terms and conditions below.